Chris Sims, who said it had been a "fantastic privilege" to lead the force through six challenging years, is expected to leave his role in January. The announcement was made just a day after he outlined more details of radical plans to change the face of policing in the West Midlands by 2020. During his time as chief constable the force has faced unprecedented cuts and has seen its budget slashed by more than £146 million. The 2020 Blueprint, which was signed in March and announced in more detail this week, is a five-year partnership with consultancy firm Accenture UK that will help the force restructure, cut costs and introduce new technology. In a statement released through the force, the chief constable said: "It has been a fantastic privilege to lead this force through six challenging years. "I want to reassure people I will use the remaining time I have in West Midlands Police to make sure the transition to the next chief constable is as smooth as possible and we don&apos;t take any break on our journey to being the best force in the country. "I never deluded myself that, with something as big and strategic as the Blueprint, I would be around to see the end point. "But, for me, the next best thing is to ensure we have a clear delivery plan and confidence the work is going to happen and will make the difference we need." Police and crime commissioner David Jamieson paid tribute to the outgoing police chief, describing him as a dedicated public servant. He said: "Chris Sims is an outstanding chief constable who has served the West Midlands with distinction and given over 30 years of devoted service as an officer. I wish him all the best for the future. "This is about thanking a dedicated public servant but also the start of a process to select a new chief constable to carry on Chris Sims&apos; excellent work and guide the force through the next era of policing. "Over the coming weeks, I shall set out a timeline for how I will choose the next chief constable of West Midlands Police." 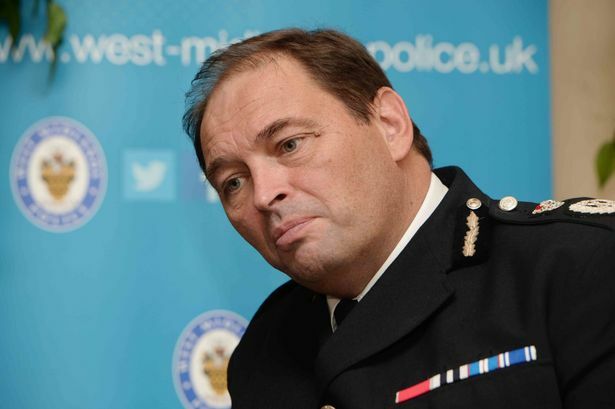 Deputy police and crime commissioner Yvonne Mosquito added: "Chris Sims has been a first rate chief constable who has served the West Midlands diligently since 2009. "He has been an inspirational, innovative and independent force for good for policing. He is one of - if not the best - chief constable in the country and I wish him well with his future endeavours." Shadow policing minister and Erdington MP Jack Dromey described him as "an outstanding public servant" and added: "Chris Sims has devoted his life to protecting the security and the safety of the public in the West Midlands. "He is rightly regarded to be one of Britain&apos;s best police chiefs. He will be sorely missed but he is entitled to be proud of what he has achieved." Chris Sims began his policing career in 1980 with the Metropolitan Police force, rising to the rank of chief inspector. He moved to Staffordshire Police in 1994. He left Staffordshire in March 1999 to take up the role of assistant chief constable for West Midlands Police and was later appointed deputy chief constable - a post he held for three years. He went on to become chief constable of Staffordshire Police in September 2007 and joined the force as chief constable of West Midlands Police in June 2009. A graduate of St Peter&apos;s College, Oxford, he also achieved an MBA from The University of Warwick and was awarded the Queen&apos;s Policing Medal (QPM) for distinguished service in the Birthday Honours List of 2010.